Designing cutting instructions for harvesters is still something many forest owners and managers in New Zealand and Australia are still learning. Part of this learning is the use of Simulators from the harvester machine manufacturers. 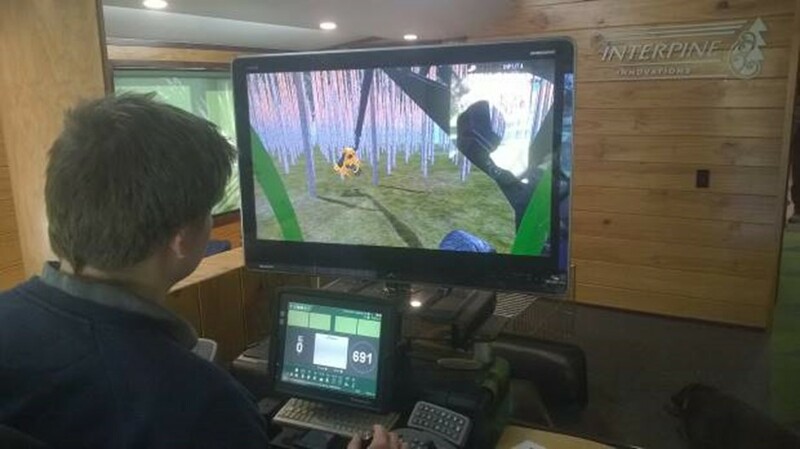 By using a simulator to help in the training of your forest management staff, they can better understand the computer systems installed in the modern harvester. Figure 1 – Goetz Roth at Interpine using the John Deere Harvester Simulator at Interpine, validating Bucking Instruction application. Having recently hosted a workshop of harvester data management, Interpine staff are continuing to work on developing training material for to upskilling the industry in the construction of Bucking Instructions for harvester machines of different makes and models based on the StanForD file formats (StanForD Classic APT or StanForD 2010 PIN, SPI, OIN Files). Our analyst lead in this space, Goetz Roth is travelling to Sweden and Germany in October 2015 to further work with the European forest companies and the Skogforsk team in Sweden who develop and maintain the StanForD file formats. An example of this work is looking at standards that could be applied across the industry as a base for the use of qualities used in defining log grade product definitions within APT files. This would greatly simplify training of staff and ease the transition of operators between machines and contractors. Figure 2 shows an example of a set of log qualities being tested by a range of harvester operators. 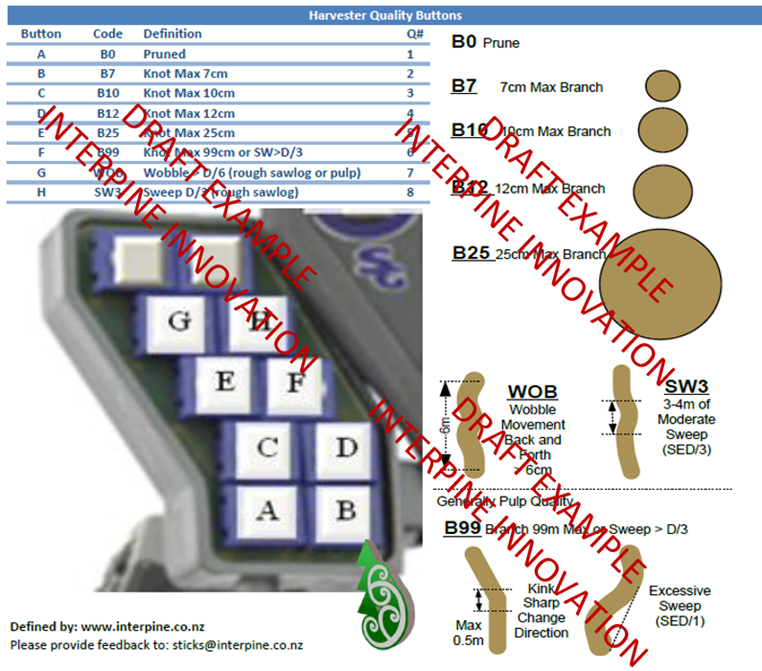 Figure 2 – Quality Buttons used in defining product quality for value driven optimisers in Harvesters. If you would like more information on StanForD and creation of cutting instructions for harvesters feel free to contact the Interpine team.